The JAB Group’s focus is in Business Development, predominantly on strategic consulting in sales, marking and training initiatives. We listen to our clients and probe to better understand their organizational challenges such as growth, workforce skills, competitive market changes, and declining market presence. From our analysis, we provide clients with a range of solutions from new creative marketing campaigns, co-marketing programs, collaborative opportunities, custom sales training classes, and cloud-based corporate training programs. 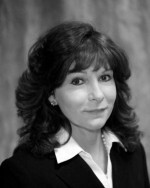 Joyce A. Banjac, president of the JAB Group, brings years of adult learning instruction, inter-organizational collaboration, meeting facilitation, and learning-focused event planning to the firm. While employed at Myers University, Joyce’s ability to connect, communicate and collaborate with internal employees and external stakeholders helped her to advance from an adjunct B-school graduate lecturer to interim university president in less than ten years. In this capacity, and in her other senior higher education administrative posts, she collaborated with her staff and contractors to design learning events, workshops and programs that engaged insiders and external stakeholders. She is the founder of Business Smarts Inc. a training and technology firm that was subsequently sold to a private investor. As a certified female business enterprise, Banjac’s client base included Fortune 500 firms and government agencies. With a Ph.D. from the University of Akron in post-secondary adult education and a MBA, Joyce combines her business acumen and learning leader experience to advance organizational growth irrespective of sector. She is a certified curriculum designer and focus group moderator and is a member of the B-school faculty at Baldwin Wallace University. Bob, an entrepreneur in the technology space, is an award-winning sales and marketing strategist who helps organizations implement new, cloud-based, and collaboratively focused, marketing and selling techniques designed to attract, create, and retain customers. He has worked with Fortune 500 corporations, start-ups and small and medium enterprises. He was a co-founder and managing partner of a digital agency which offed: Web services, e-commerce, e-mail marketing, Search Engine Optimization, Social Media and Pay-Per-Click services. He has taught professional sales and e-marketing for public universities and still teaches at the University of Akron. Bob’s focus is on helping clients grow through custom designed and fully integrated sales and marketing programs.